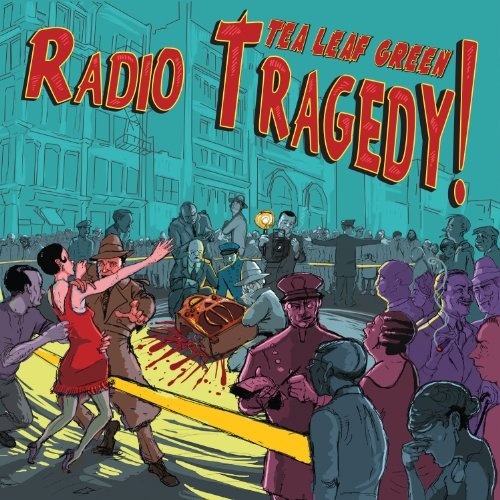 Tea Leaf Green, a perennial jam band favorite, have outdone themselves on their latest album, Radio Tragedy!. Following their 2010 release, Looking West, Tea Leaf Green have returned to their carefree roots, but have also gone beyond their compositions of the past few years. Not since Taught to Be Proud in 2005 has TLG created an album with such beautiful melodies and such a high level of craftsmanship. What makes Radio Tragedy! their best album yet is the variety of feels, instrumentation, and styles. With the addition of Reed Mathis on bass and Cochrane McMillan playing a second drum set, the band has never sounded crisper or more tender. The first track, "All Washed Up," showcases the funkier side of the band while also leaving room for lead singer Trevor Garrod's vocals to shine through above the sound of the instrumentals. "Fallen Angel" reminds us of the presence of the organ in TLG's music, but then on "Sleep Paralysis," we hear a flute and a mellow acoustic guitar on a heart-wrenchingly beautiful ballad. The song builds slightly with a strong downbeat emphasis on the chorus and ends tastefully just as the message has been conveyed. It is "Germinating," though, that really encapsulates the sound of an outdoor music festival, which is where a band like Tea Leaf Green really shines. It would not be an exaggeration to say that this is Tea Leaf Green's most adventurous and best album to date.